TO BECOME PART OF MY RUBBER ROOM RAMBLERS TEAM AND ENJOY AN UBER FUN HOLIDAY PARTY!! There is still time to earn your party invitation! 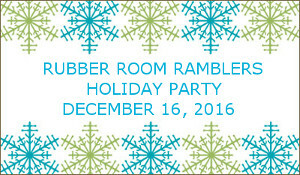 The Rubber Room Ramblers Holiday Party is December 16, 2016 and you definitely want to be there! This is my night to spoil you with mega fun games (including BINGO), door prizes, gifts, yummy treats and so much more! Rumor has it the prize wheel will even be appearing. 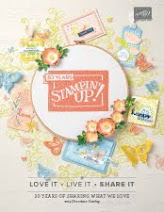 All you have to do receive an invitation to this uber fun event is be a part of the Rubber Room Ramblers Stampin' Up! Demonstrator Team. Now is the perfect time to join Stamipn' Up! and my Demonstrator Team. With the Online Extravaganza, you can get even more savings when you customize your starter kit for only $99. The starter kit is an amazing deal for $99, and you get to pick out $125 in merchandise AND get FREE shipping; but with the Online Extravaganza happening, you can increase your savings and make your starter kit worth even more! AND as a Stampin' Up! 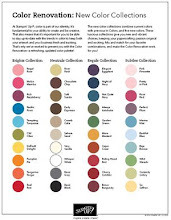 Demonstrator, when December 1, 2016 rolls around, you get to pre order from the new Occasions Catalog, receive FREE Sale-A-Bration items for every $50 you order AND get an additional 20% off. 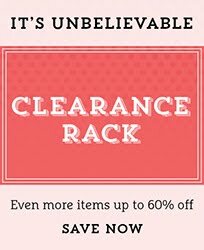 This is like the best Black Friday offer ever (and it isn't even Black Friday yet)! !